Emirates Islamic, one of the leading Islamic financial institutions in the UAE, has announced the inauguration of its new main branch in Abu Dhabi, located at Wave Tower in the Khalidiya Corniche area. The branch was officially inaugurated in the presence of Sheikh Sorour Bin Mohamed Al Nahyan; Hesham Abdulla Al Qassim, chairman of Emirates Islamic and vice chairman and managing director of Emirates NBD; Salah Amin, CEO of Emirates Islamic; Noura Al Suwaidi, director-general of the General Women’s Union and other senior bank management and officials. 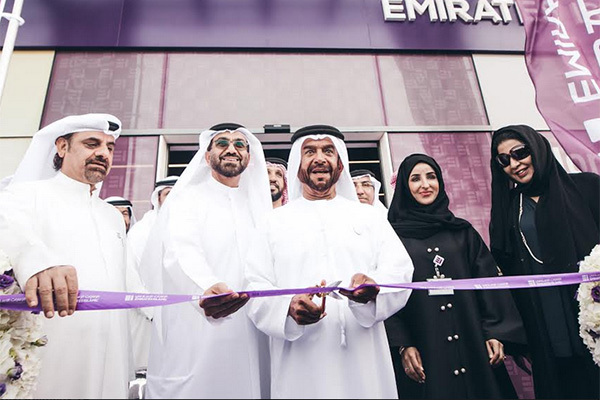 The inauguration of the new branch – which offers Retail, Priority, Business and Corporate Banking services - brings the total number of Emirates Islamic branches in the UAE to 59, with nine branches operational in Abu Dhabi.